With 20 cities in the running, Cleveland’s chances of becoming the next Say Yes To Education chapter—and only the fourth in the country to receive the distinction—were just a paltry five percent. Yet according to Say Yes founder George Weiss, it was no contest. 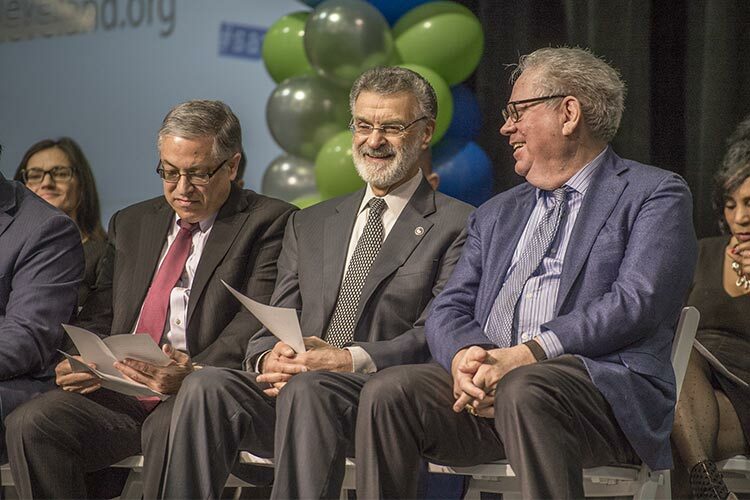 And, with that, Weiss announced to a packed crowd of students and community leaders that the nearly 39,000 students in Cleveland Municipal School District—Ohio's second largest school district—can now go on to two-year and four-year colleges and universities tuition-free, starting with the 2019 graduating class and continuing for 25 years. 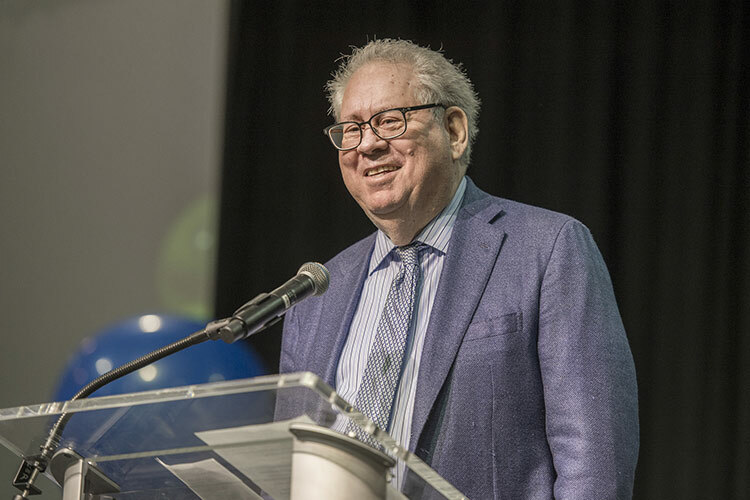 “We stand with 117 private colleges who are going to offer every student in the public school system of Cleveland, Ohio, free college tuition,” said Weiss, who founded Say Yes to Education 32 years ago in Philadelphia. The fine print states that any student who lives in Cleveland and is enrolled in a CMSD high school or affiliated charter school (including those living in Bratenahl, Linndale, Newburgh Heights, and parts of Brook Park and Garfield Heights) will be eligible to receive a full tuition scholarship, after any state or federal aid. The tuition can be applied to any state secondary institution or 117 private schools in a national compact. The only requirements are that students must attend all four years of high school at a CMSD school with family income below $75,000 annually. Students in households earning more than $75,000 are eligible for up to $5,000 in scholarship funds. All students will still have to cover living expenses. The monumental announcement has been in the works since May 2017, when Cleveland entered the pre-launch phase of Say Yes to Education. The city fulfilled several requirements, including raising $88.4 million to meet the requirement of raising at least 60 percent of a $125 million goal to fund the tuitions. The money was raised by both private and public donations by Cleveland individuals, residents, business, and organizations. As a Cleveland State University junior, future educator, and Say Yes committee member, Matthew Moody was on the frontlines for the planning process. He believes Cleveland was the clear candidate to be the next Say Yes city—joining the fold with Buffalo, Syracuse, and Guilford County in North Carolina. For his part, CMSD superintendent and CEO Eric Gordon is thrilled that Say Yes to Education will greatly enhance the efforts already underway through The Cleveland Plan. 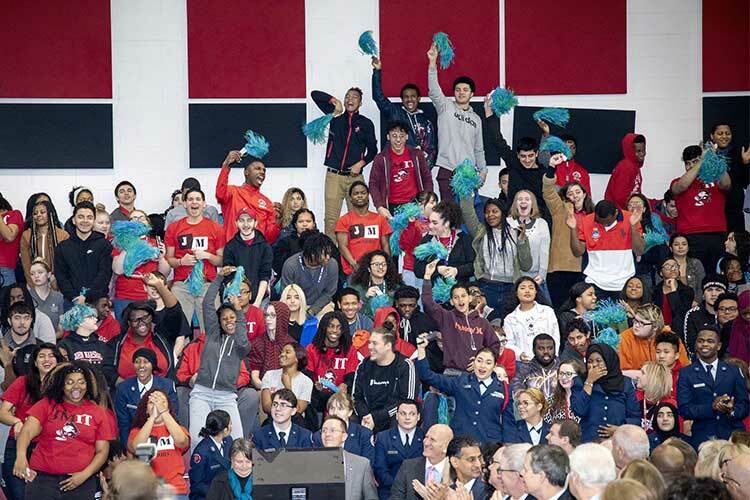 With college attendance rates decreasing in recent years among CMSD students, the Say Yes to Education announcement comes at an opportune time. Case in point: 45 percent of CMSD 2016 graduates went on to college within one year of graduating, down 16 percentage points from the 2011 graduating class. “We don't know all the reasons why, but strong anecdotal evidence indicates that the rising cost of higher education plays a significant role,” says Gordon. The free tuition initiative is poised to not only benefit individuals, but the city as a whole—thanks to a better-educated rising generation and stronger incoming workforce. The need for an educated workforce is a priority, agrees Lee Friedman, CEO of College Now, which will help administer the scholarship program and provide advising and mentoring services to students. College Now was also one of six organizations that worked to bring Say Yes to Education to Cleveland. The initiative may also boost Cleveland’s recent efforts around attracting and retaining talent. Gordon believes Say Yes has potential to attract new residents who want to take advantage of the scholarships, while Moody feels Say Yes can not only be a great launch pad for sending Cleveland students off to college, but returning them home to fill the need for educated workers. As College Now's Friedman sees it, effective support needs to go beyond just a financial commitment for covering college tuition. To that end, part of the Say Yes program will entail a variety of wrap-around programs in addition to the scholarships—with resources such as healthcare, legal assistance, and social/mental health services to keep the entire family on track. Counseling services will also be provided for students from a young age—first to make sure students are kindergarten ready; then to make sure they've reached certain milestones by third grade; and eventually ACT and SAT prep. “It’s a chain reaction along the way,” says Friedman. All scholarship recipients will also be required to participate in a mentoring program, administered by College Now. While College Now typically recruits about 400 mentors a year, Friedman says they will now need about 900 mentors, whom they are actively seeking now. The only requirement is that mentors must have a college degree themselves. Moody says he’s seen the efforts to both improve CMSD schools and make Cleveland a great place to live and work since the announcement of the Cleveland Plan back in 2012. And say yes to all that is to come.